Workhorse. 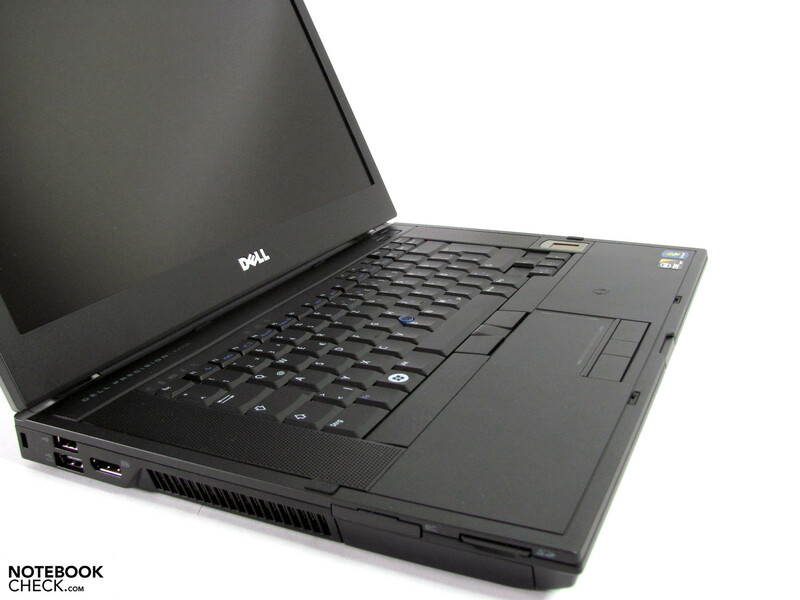 Dell's mobile workstation, Precision M4500, should especially satisfy high performance requirements and faces a simply unbeatable opponent. 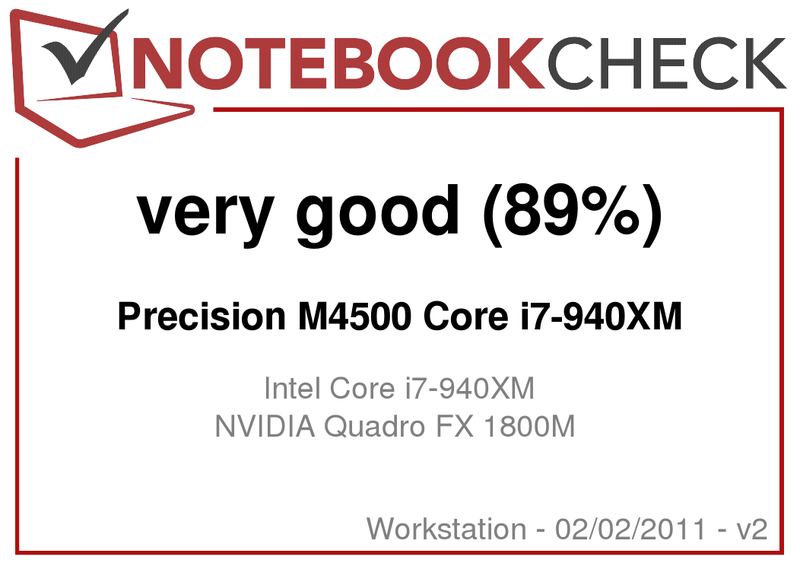 We've checked how well Core i7-940XM, Nvidia Quadro FX 1800M and FullHD support our test candidate. 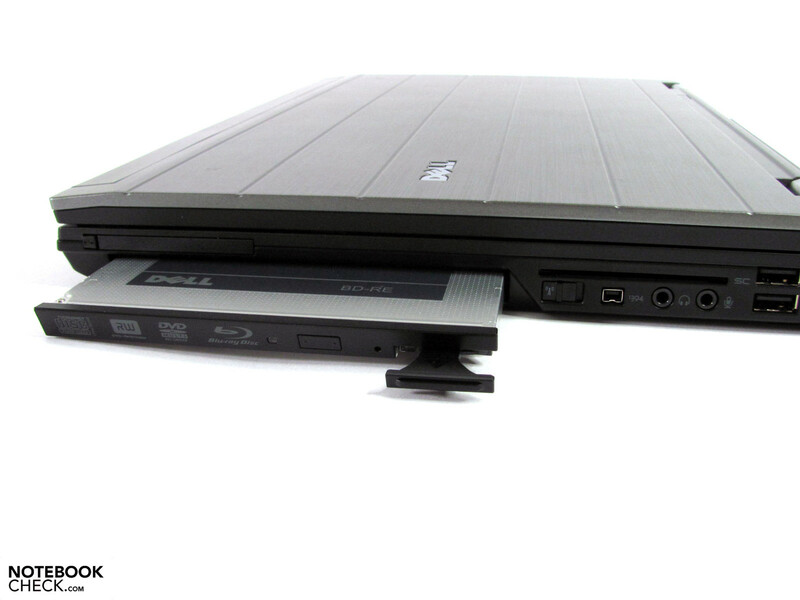 We had waited a long time before we could finally greet the Dell Precision M4500 in our editorial office. We had already examined the similarly positioned competitor months ago. 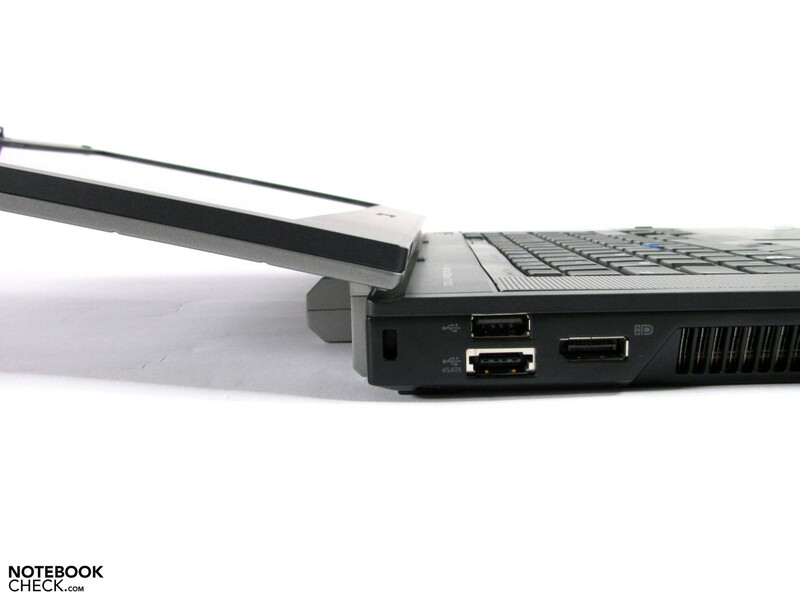 The HP Elitebook 8540w is even available in two different alternatives now. The yardstick is set high. The HP 8540w led our TOP 10 for a long time. The Fujitsu Celsius H700 was impressive with an outstanding value for money ratio. 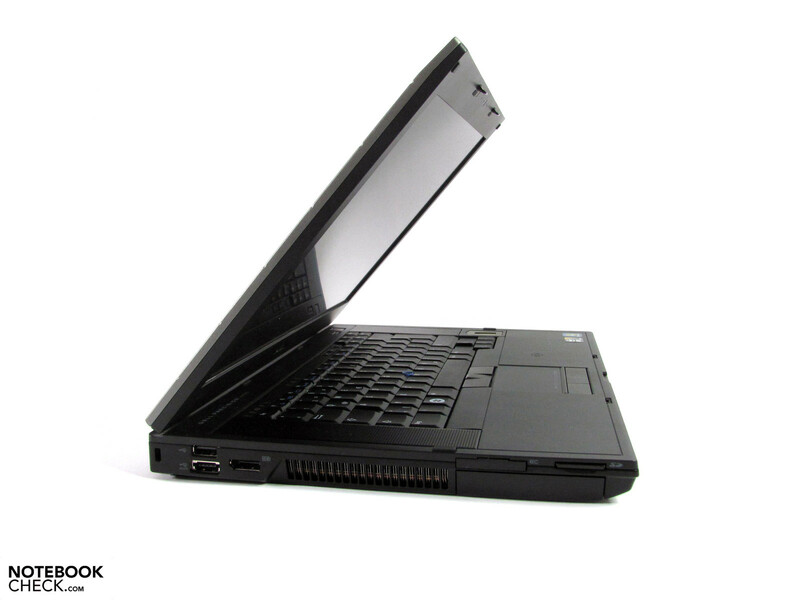 The Lenovo ThinkPad W510 more than only met up to its reputation as the prestige classic. Currently, the prices for a WXGA display, Nvidia Quadro FX 880M and Core i5-560M start at of 1050 euros net. An Nvidia Quadro FX 1800M, BluRay burner, SSDs with a capacity of 128 and 256 GB, higher resolution displays or keyboard with backlight are available for a surcharge. Not really contemporary: WLAN also costs extra. 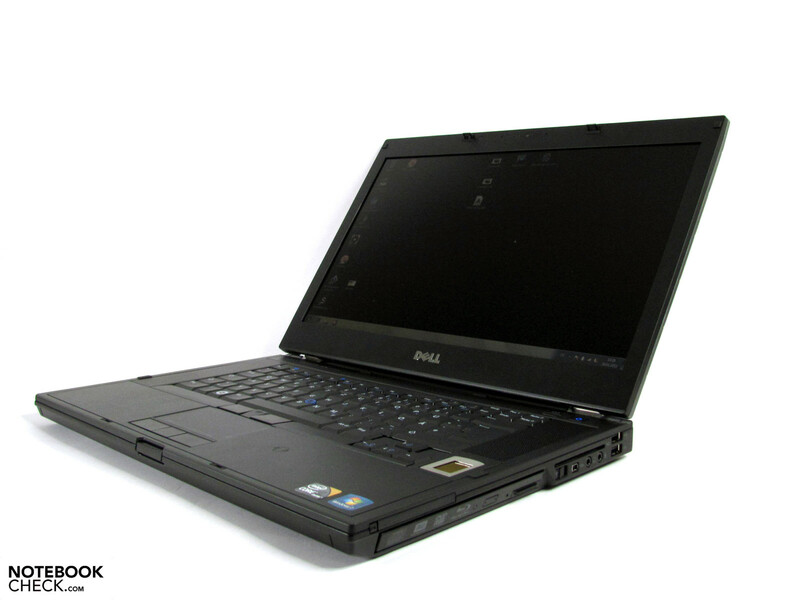 Our Dell Precision M4500 represents the top model and has a Core i7-940XM CPU, 8 GB of RAM, a 256 GB SSD, a FullHD display and currently has a net-price of almost 3600 euros. According to the spec sheet, the Precision workstation's weight starts at 2.81 kg and thus hardly differs from the competitors. This can however quickly swell to over 3 kg, as in our candidate, depending on the configuration. The 9 cell batteries, for example, add a weight of about 150 g in comparison to 6 cell batteries. The magnesium alloy case is fully convincing in terms of workmanship, pressure resistance and robustness. Merely the battery has a leniency of about 0.5 to 1 mm and wobbles a bit. The display lid is an eye catcher with its very attractive metal look. We however discover the usual gray plastic inside on the work area, around the keyboard and display, which is rather intended more for functionality than chic. 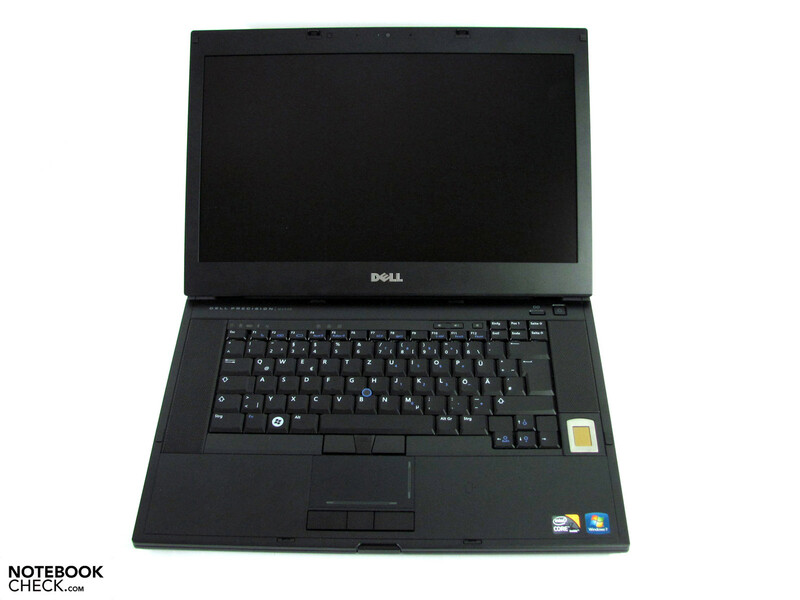 The dimensions are a bit greater than other 15.6 inch notebooks in width and breadth. Nevertheless, the slim-flat case of MacBooks or the Timeline range isn't accomplished. The connectivity is overall very good and even the port distribution is successful. Everyone will have a different opinion about the video port's position. We would have preferred to see it on the rear, and the audio sockets would have been better placed on the front for Skype & Co. In any case, it could get tight for the crowded USB ports because they can only be used with an extension cable, depending on the device. 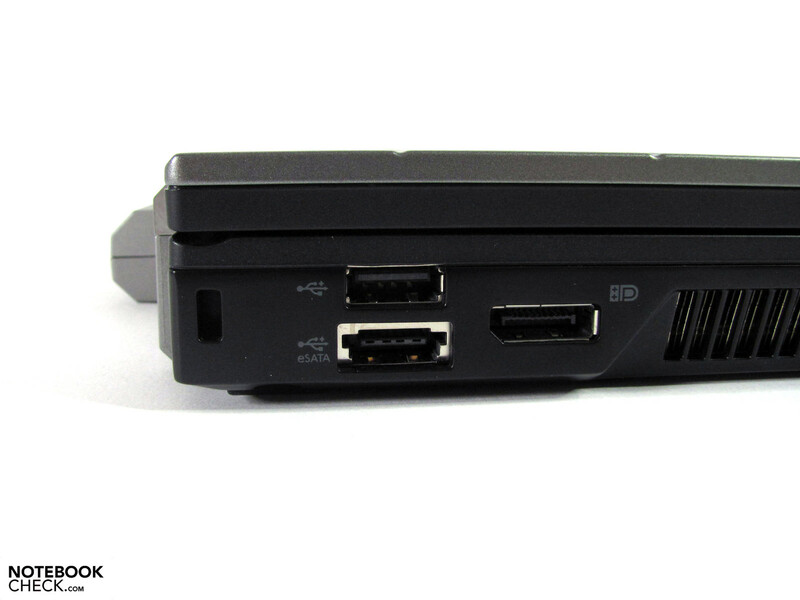 We are also surprised about the lack of a USB 3.0 port that should actually belong to a workstation. 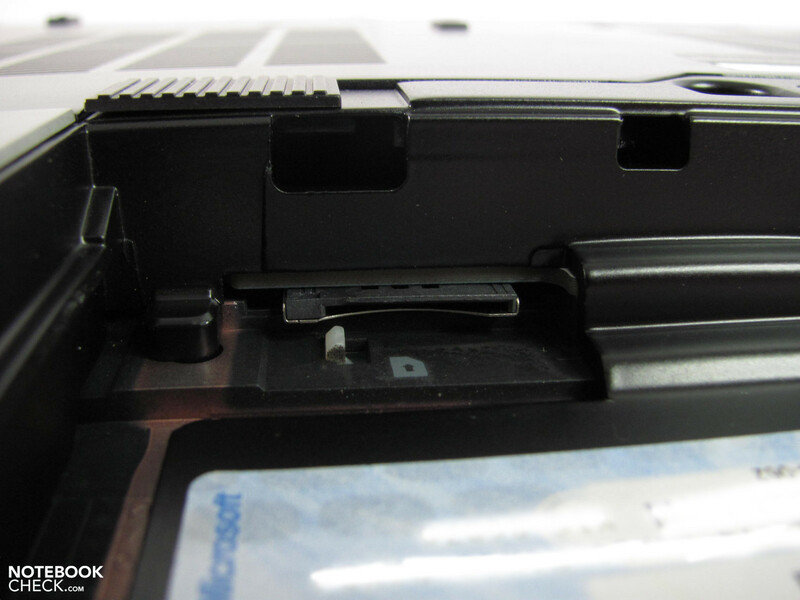 This missing port can easily be retrofitted via ExpressCard34 if required. 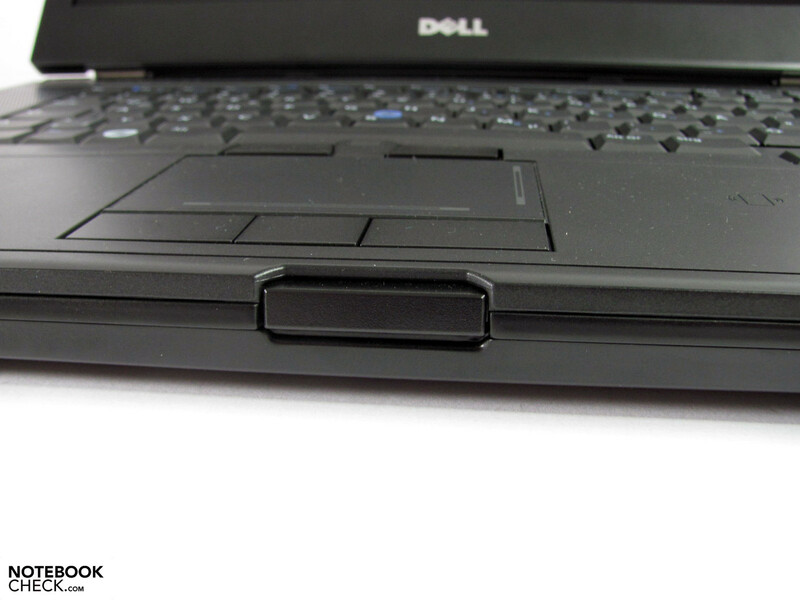 Otherwise, Dell provides a good alternative with the 115 MB/s fast eSATA. Additionally, the disappearing 4 pin FireWire port (EEE 1394a) is also installed (35.5 MB/s). USB 2.0 doesn't work quite as fast with a max of 28.1 MB/s and is thus the first choice for printers, digicams, etc. 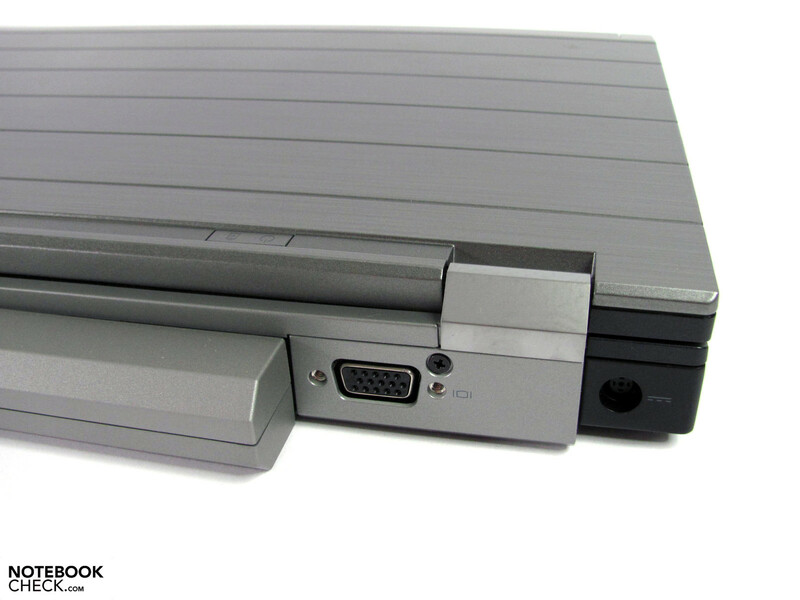 Naturally, an analog VGA out for older monitors and laptop projectors shouldn't be left out. Nor should a digital video out, in form of a display port for best signal quality, be omitted. The VGA out still supplies a good picture at a resolution of 1280x1024. The reproduction visibly gets unfocused already at resolutions of 1680x1080. 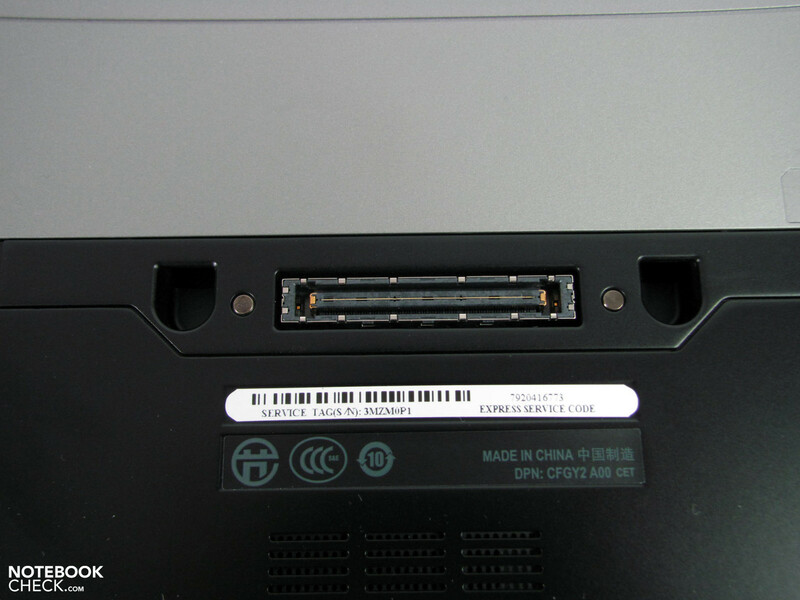 The VGA port's design could however cause problems with the one or other thicker VGA cable because it's submerged into the case. 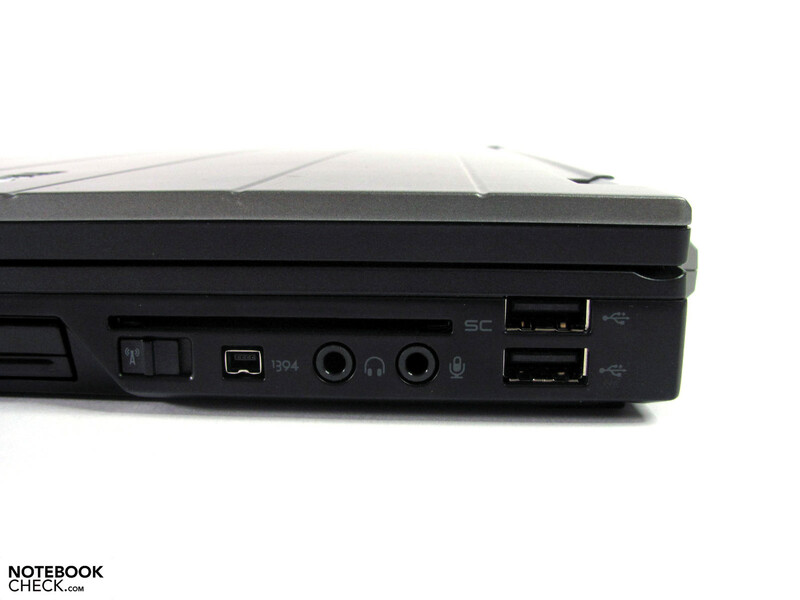 Gigabit LAN, Bluetooth and 3 MP webcam are standardly included. WLAN is available in 3 alternatives and inconceivably still costs extra. SmartCard reader, fingerprint scanner and TPM take care of required security not only in businesses. A variety of expansion options via the modular drive bay are also standard in this device category. 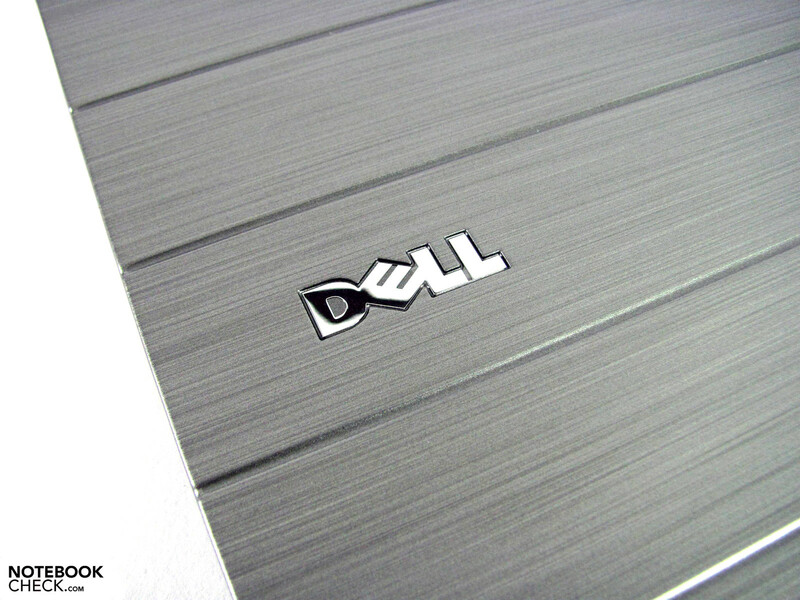 Dell grants a generous 3 year warranty right from the start. However, it's common standard for this product range. It can be upgraded with various warranty period extensions, additional services and support services. The collection of system specific accessories ranges from batteries and docking stations over adapters up to module bay expansions. 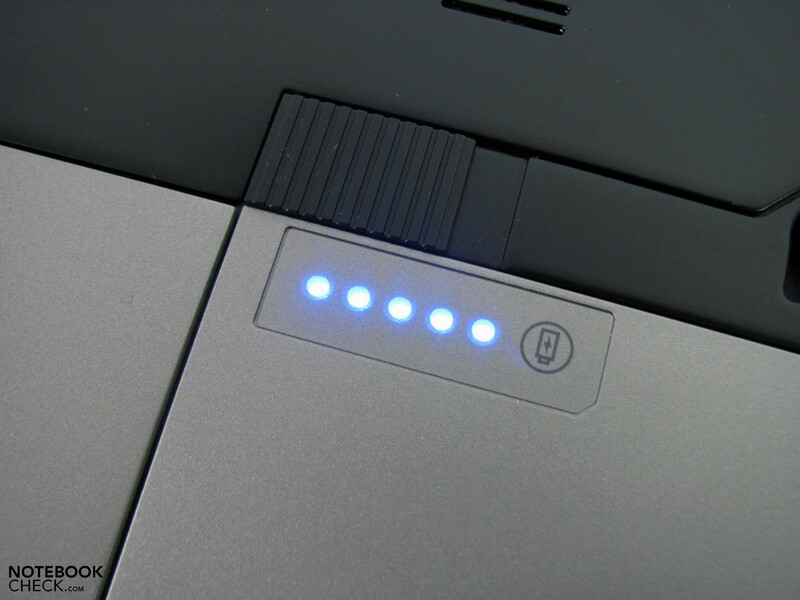 While the batteries extend the maximum possible runtime, docking stations especially allow the notebook to be integrated quickly into an existing work environment. Time consuming reconnecting of peripherals becomes unnecessary. For example, Dell has the port replicator 452-10761 with 2 DVIs, 2 display ports, eSATA, 2 USB for about 100 euros. However, USB 3.0 isn't available here either. 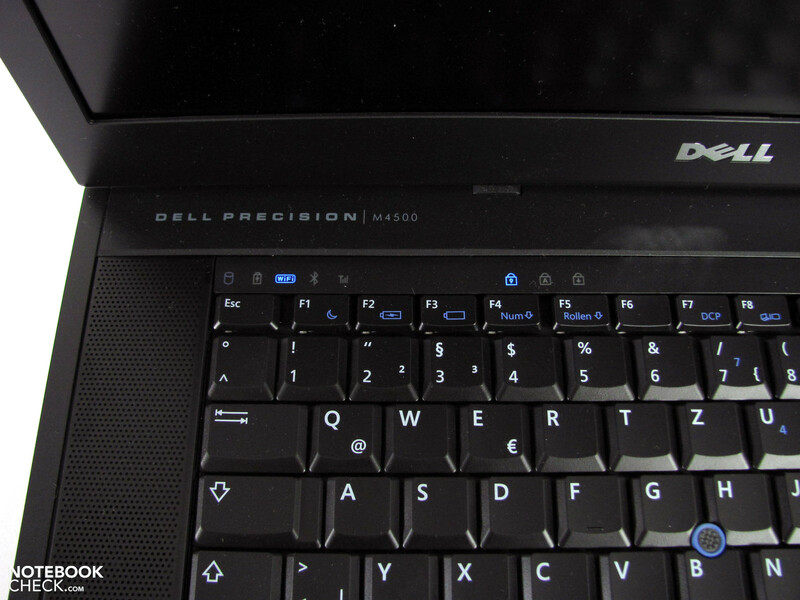 The Dell Precision M4500's keyboard suffers of a slightly coiling sub-construction in the left key field. 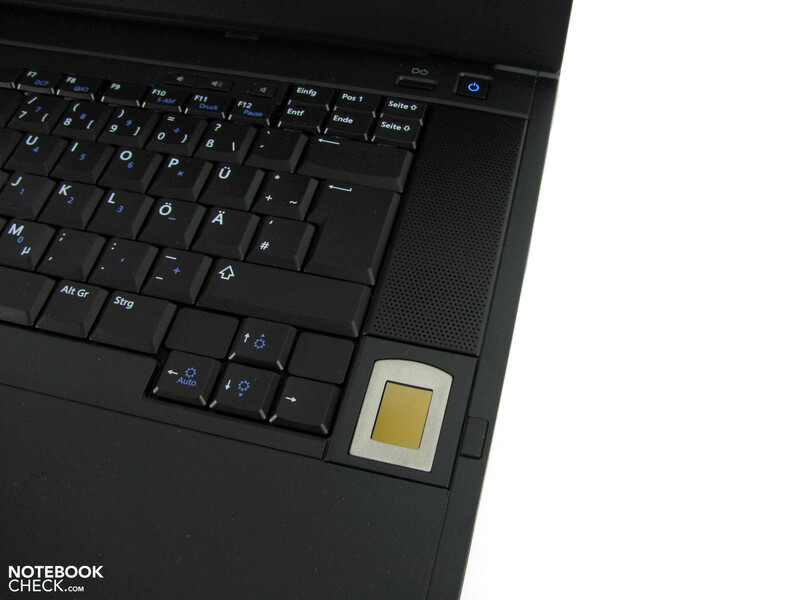 Thus, it surprises you with an unexpectedly loud and somewhat clattery trigger noise when typing in this area. However, it could be a flaw limited to the test model. Otherwise, the medium length key drop, the good pressure point and standard key size are pleasant. No experiments have been made with the keyboard layout and the symbols are placed just there where you'd expect them. The FN alternatives contain almost all important functions, but could be a bit more legible in dimmer light. The keyboard light helps a bit, but it also costs 40.00 euros extra, excl. tax. In no case is there an additional number pad available. Whether you really need one or not will vary individually. In our opinion, it should simply be a part of a workstation. The case would have been wide enough to accommodate it in any case. Both input options can be used well and present a good mouse replacement. 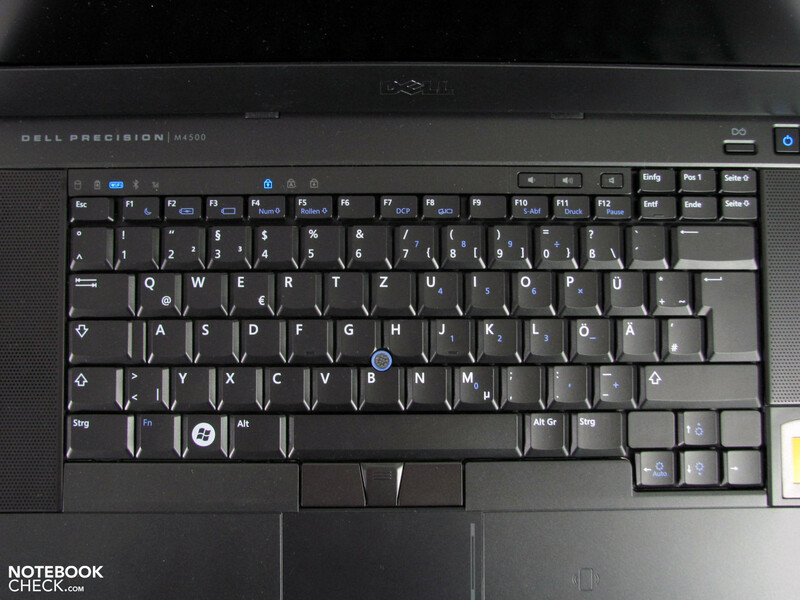 We find the submerged touchpad keys slightly impractical. They are subjectively harder to use in comparison to other alternatives. Dell lists three different display options for the 15.6” Precision in a 16:9 format. The most striking difference is the resolution of each screen. You can choose among WXGA (1366x768) over WXGA++ (1600x900) up to FullHD (1920x1080). No other quality differences become apparent on the spec sheet. The term “anti-non-glare” caused a bit of confusion during the online configuration on Dell's German website. It naturally doesn't stand for a reflective display. 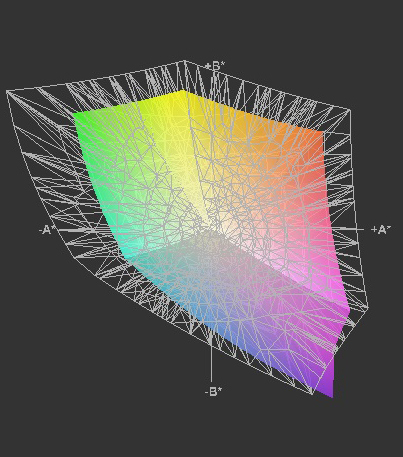 Our model is equipped with the matt Full HD display and thus bids a very large display surface at a dot density of 141 dpi. We find this ratio very viable. However, some users may find the not always adjustable characters and icons size too small. 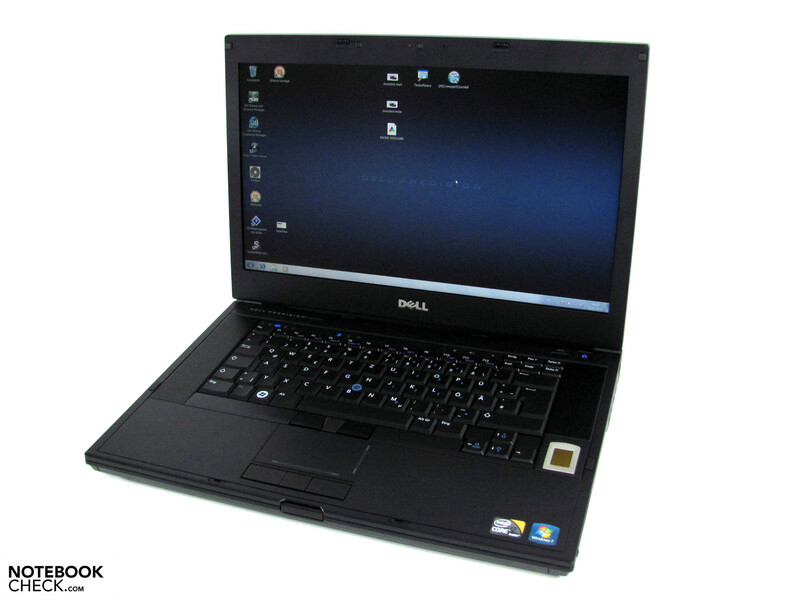 The screen in the test model provides a maximum brightness of 297 cd/m2 in the center. However, it decreases to 226 cd/m2 at the edges. Consequently, the brightness distribution only reaches a moderate 76% and is also visible on evenly formatted display content in practical use. This is only a minor matter for outdoor use, though. The maximum brightness counts here and it is fully sufficient in most cases. 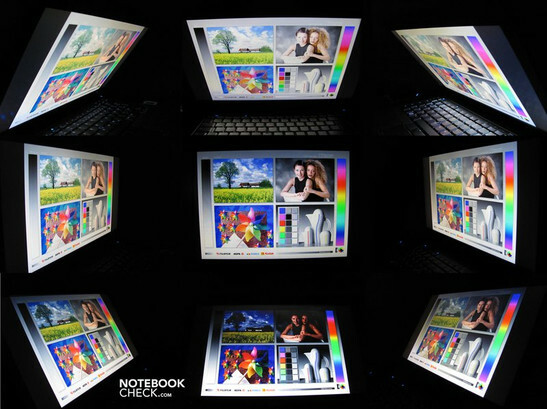 Although the contrast ratio of 487:1 doesn't quite reach the level of HP's Elitebook 8540w and Fujitsu Celsius H700, it is still considerably better than most notebook displays that we've tested until now. 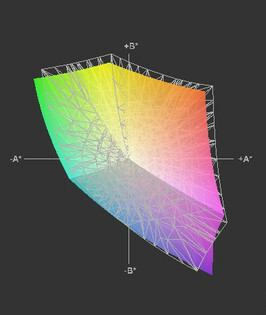 The determined color spectrum is also significantly better and again on par with the competition. It almost covers the entire sRGB color spectrum. The viewing angle stability is equal with the displays in HP and Fujitsu. So, generally it's evidently better than the standard, but nevertheless not as stable on the vertical plane as on the horizontal plane. 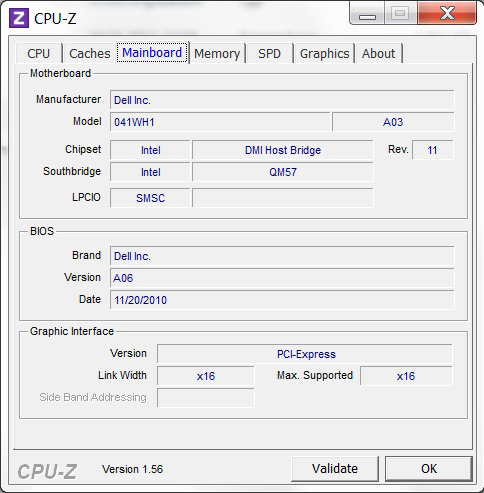 The Intel QM57 chip set, Intel Core i7-940XM CPU, 8 GB of DDR3 RAM, Nvidia Quadro FX 1800M and a Samsung SSD are responsible for performance sector. The CPU found in the test device was Intel's top model until the brand new Sandy Bridge generation was launched. Thus, it stands out with throughout supreme benchmark rates. 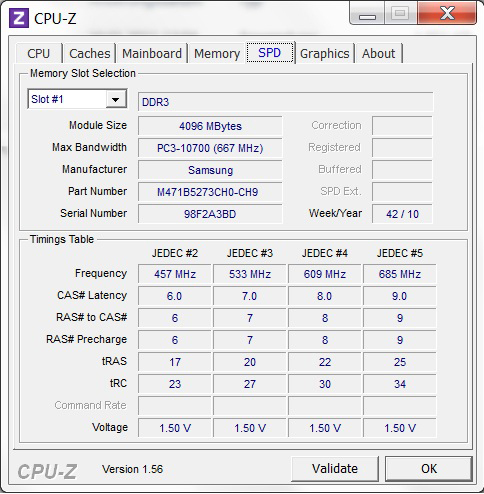 12600 points in Cinebench R10 Multi 64bit or 374 s for wPrime 200 1024m calculation are very good performance marks. 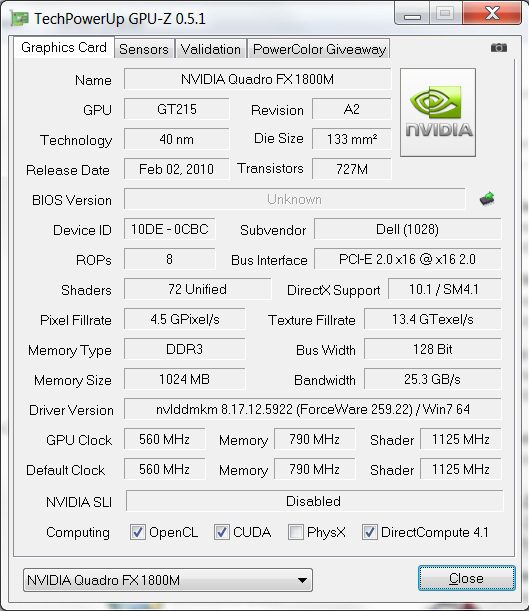 Nvidia's Quadro FX 1800M also belongs to the strongest components of its kind that can be found in 15" notebooks. 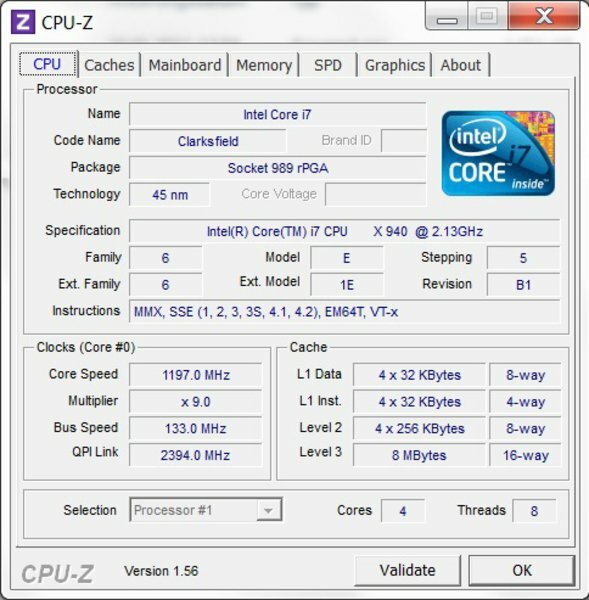 It can especially score in OpenGL, CAD, DCC software and CUDA applications since it has been optimized for pro purposes. 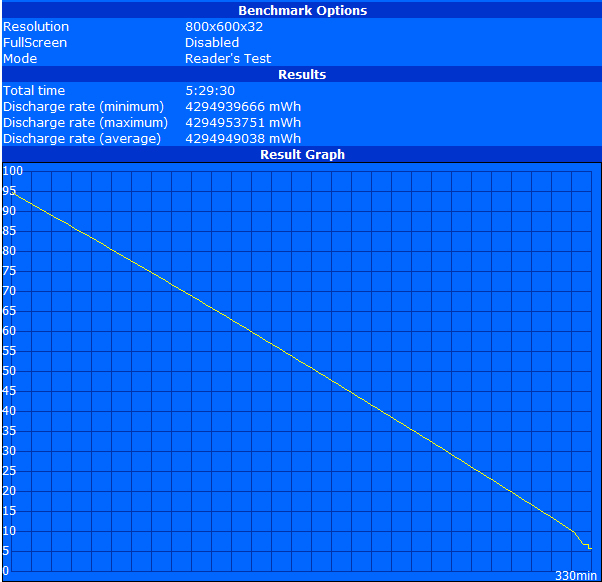 Our Precision achieves 4562 points in Cinebench R10 OpenGL Shading 64bit. 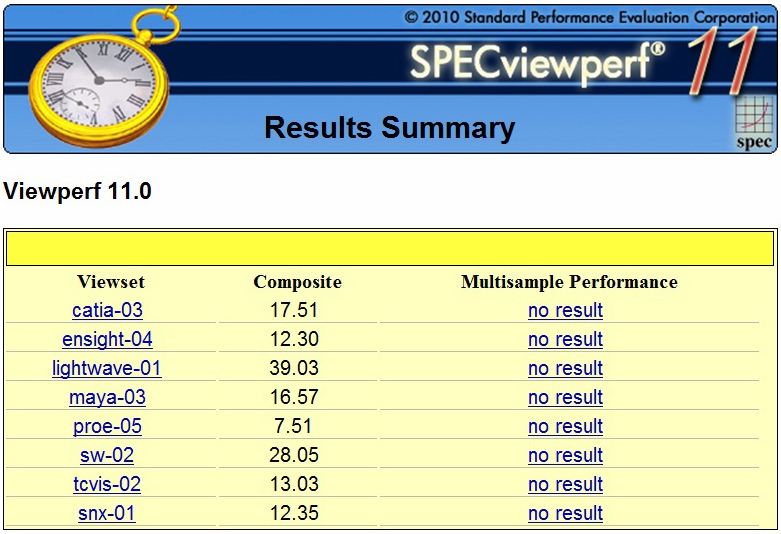 It can also keep up well in SPECviewperf 11 (1920x1080) depending on the test sequence. The FX 1800M is even notably faster in Maya and Lightwave. The newer Quadro driver will definitely have a part here. It can bring enormous improvements from version to version, especially in CAD applications. Also see our review of the Fujitsu Celsius H700. Elemental's Badaboom doesn't accept our FX 1800M as a compatible CUDA component, and therefore we couldn't test this ability this time. 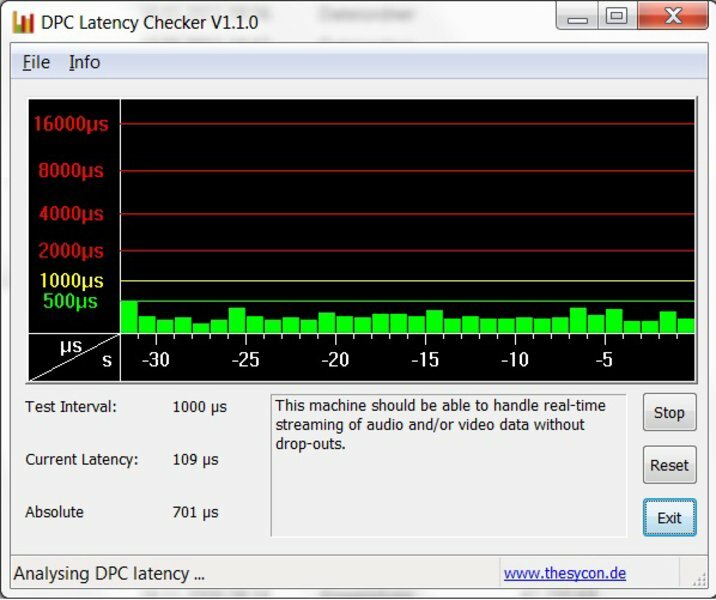 DPC Latency Checker can't determine any unusual latencies on the interfaces. So, you don't have to reckon with synchronization errors, sound crackling or delays during sound emission. 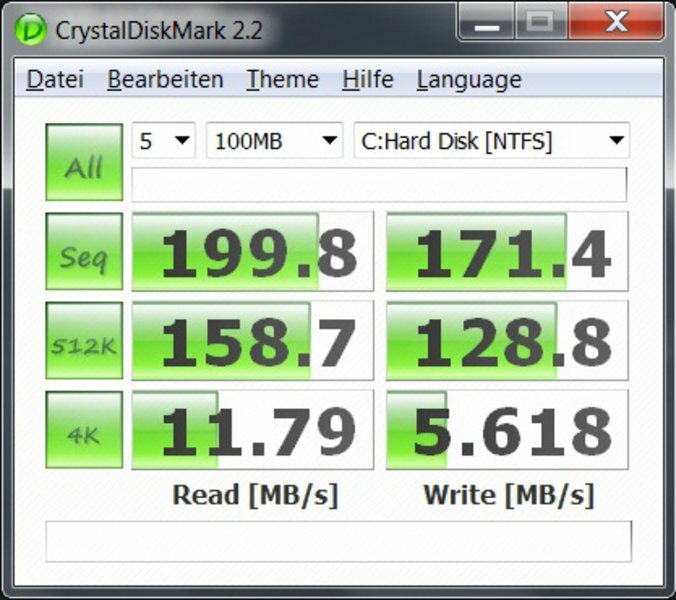 Samsung's PM800 SSD with a capacity of 256 GB doesn't have an insignificant role in the subjective speed in routine use. 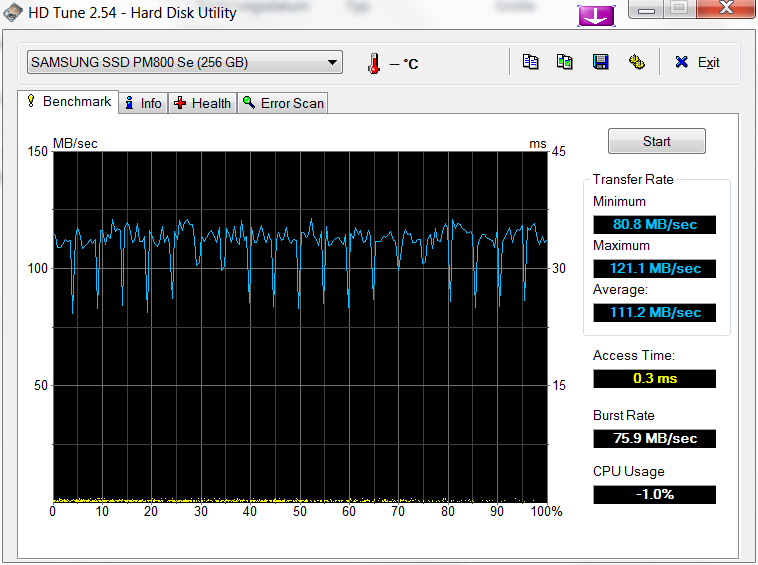 Programs start evidently quicker than with standard hard disks due to the fast access rates. The sequential read and write rates scrape at the 200 MB/s mark and the transfer rates are also good with a max of 121 MB/s. Nevertheless, technology has progressed and Samsung's model no longer counts to the strongest drives. Especially the Sandforce SSDs' performance for money ratio appears to be unrivaled, particularly in view of the horrific price. Dell demands a surcharge of 660.00 euros (net) for the Samsung disk. We like the additional energy saving profiles, like "ultra performance" or "silent", a lot. They allow the user to choose the best fan mode in each case. For example, if you are planning a long video conversion session, the permanent fan mode makes sense for keeping the components' temperatures as low as possible. 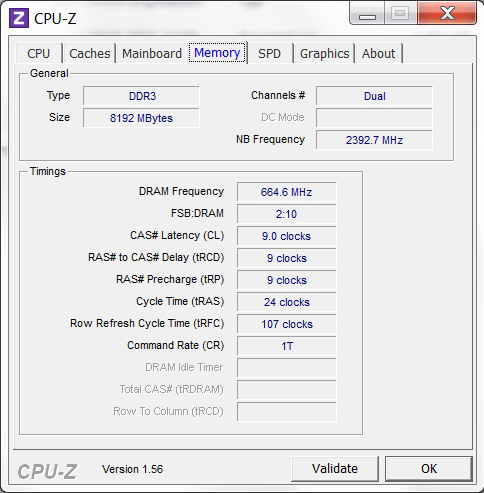 The Precision M4500 generally stays almost silent for a long time. Merely a quiet hum from the electronics, when the mass memory is accessed, can occasionally be heard. Otherwise, office tasks can be executed on a silent device. None of the previously tested workstations are capable of this. The fan first turns up when the system is put under load. But then it's vehement with a very audible discharge of warm air at about 36.6 dB(A). As soon as the load ends, the fan also finishes work. The noise development increases to 39.7 dB(A) under medium load. Its 47.2 dB(A) under full load gets unpleasant in the long run. The competition is a bit more restrained here and shows rates between 38 and 45 dB(A) depending on the model. The heat emission between idle and load have a difference both averagely and maximally of about 3°C. Although you always have a warm notebook, it doesn't get unpleasant or disquieting even under full load. 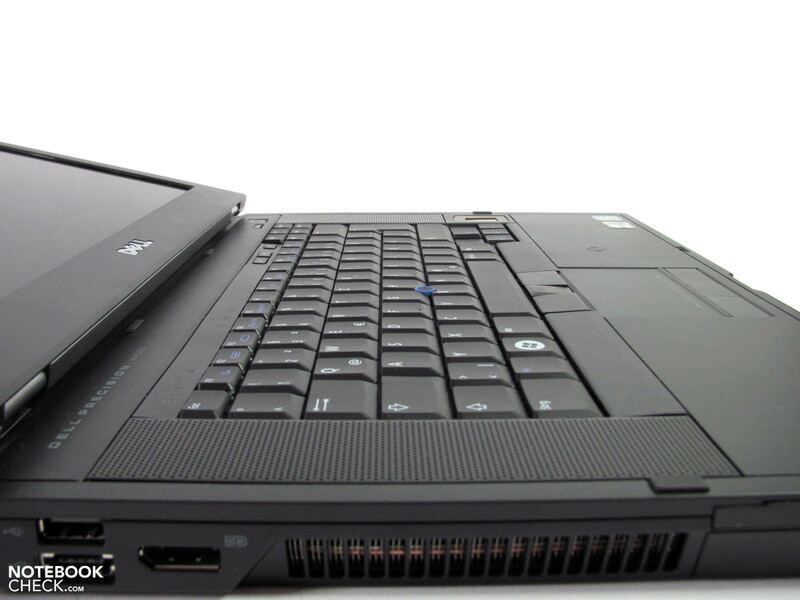 Its maximum temperature of 42.3°C is agreeably remote from HP's Elitebook 8540w of 52°C or Lenovo's Thinkpad W510 of 49°C. (-) The average temperature for the upper side under maximal load is 38.9 °C / 102 F, compared to the average of 31.1 °C / 88 F for the devices in the class Workstation. (±) The maximum temperature on the upper side is 41.2 °C / 106 F, compared to the average of 37.1 °C / 99 F, ranging from 23 to 69.8 °C for the class Workstation. (±) In idle usage, the average temperature for the upper side is 35.6 °C / 96 F, compared to the device average of 31.1 °C / 88 F.
(±) The palmrests and touchpad can get very hot to the touch with a maximum of 38.8 °C / 101.8 F.
(-) The average temperature of the palmrest area of similar devices was 27.8 °C / 82 F (-11 °C / -19.8 F). 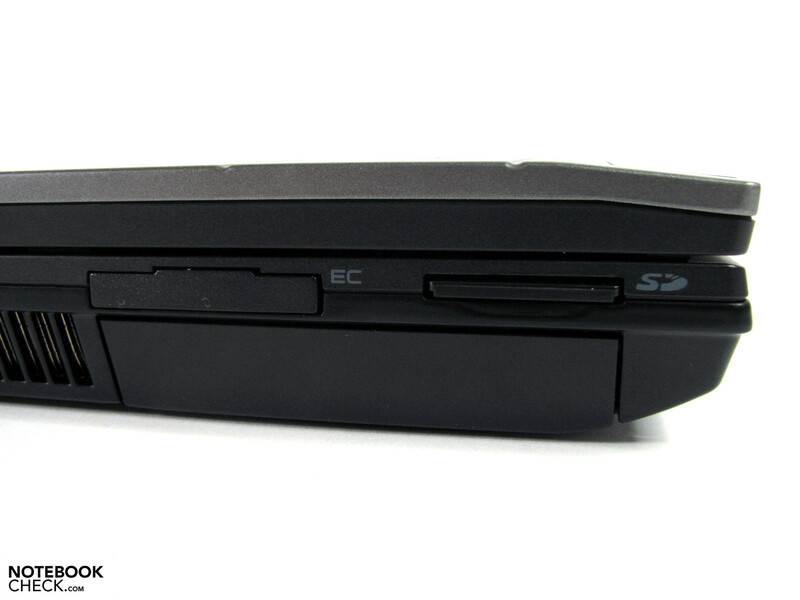 The speakers located on the keyboard's sides deliver an audibly better sound than many competition models. Nevertheless, they aren't so superior that you can waive on external speakers for refined tasks. Somewhat more midranges and even basses don't create a sound marvel, but are gladly fallen back on for movies or presentations as a small bonus. 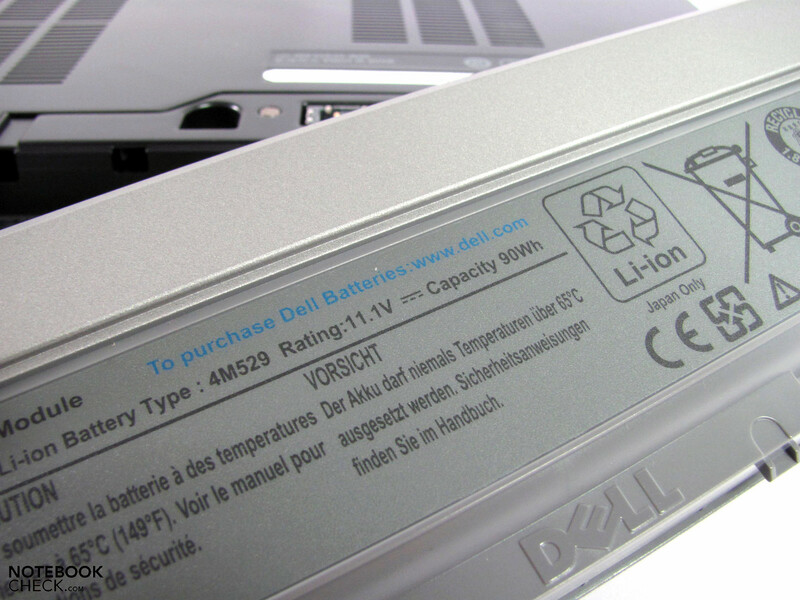 Dell lists three different battery sizes in the Precision M4500's technical data. A 6 cell battery with a capacity of 60 Wh, a 9 cell battery with 81 Wh and another 9 cell battery with 90 Wh. We found the 90 Wh model in the test device. The power consumption measured at the mains range from a minimum of 19.5 watts up to a maximum of 124.4 watts. BatteryEater Reader's Test (maximum possible battery life with minimum display brightness and disabled WLAN) results in a battery life of 330 minutes. BatteryEater's Classic Test (minimum possible battery life with maximum display brightness and all components on) determines 93 minutes. The first result can be seen as applicable to practical use since many tasks can actually be managed. 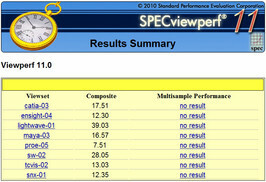 The second result is spared due to an insufficient system load by Classic Test. Actually the battery shouldn't last for an hour under full load. In return, WLAN surfing and watching a DVD is managed by the system under low load and can excel with an exemplary mains independency of 273, respectively 251 minutes. Dell has set up a fundamentally sound and, in a few fields, even unique workstation with the Precision M4500. We find the perfect symbiosis of noise development and performance potential very cordial. Dell has really done an excellent job here. 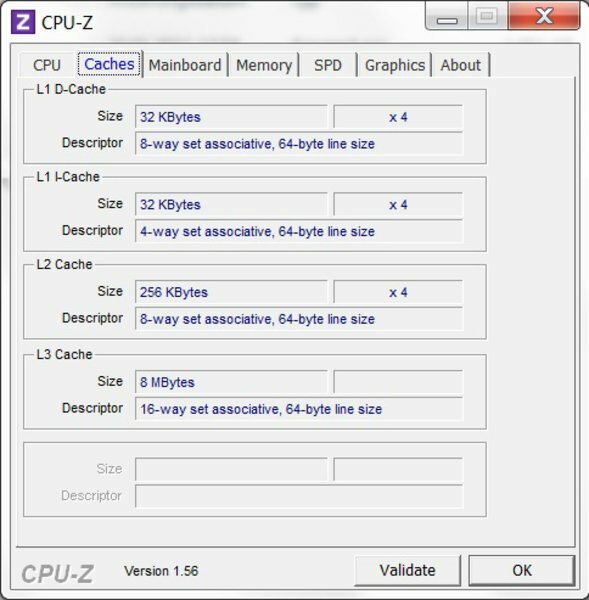 While an almost silent use is possible under low load, you can nevertheless call up an extremely high system performance, in particular in multi core and CAD applications. Even the maximum possible battery life is good in relation to the configuration, especially because you can really even work in that case. The chassis qualities, the display as well as the warranty and support options are on par with the competition and only vary marginally. 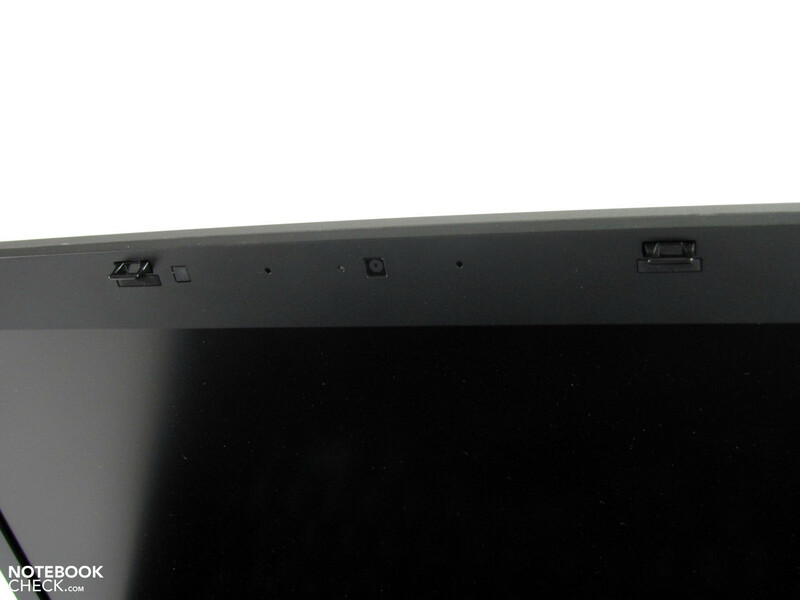 The omitted USB 3.0 port, the left out number pad and the uneven display brightness are minor inconveniencies. Our Precision M4500 isn't exactly a bargain at almost 4300.00 euros, but it has components that aren't available in other devices. 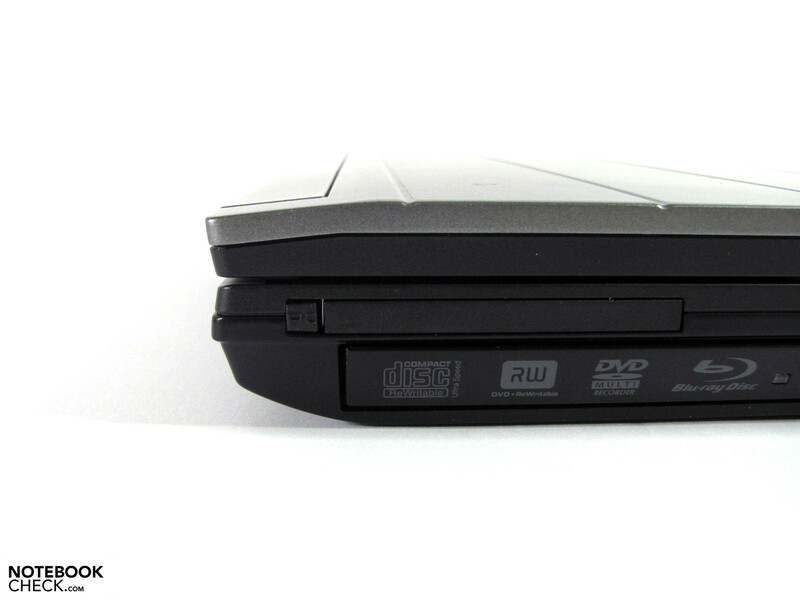 Not only has the BluRay burner boosted the test model's price to dizzying altitudes. A bit of a crowd in the interface area. 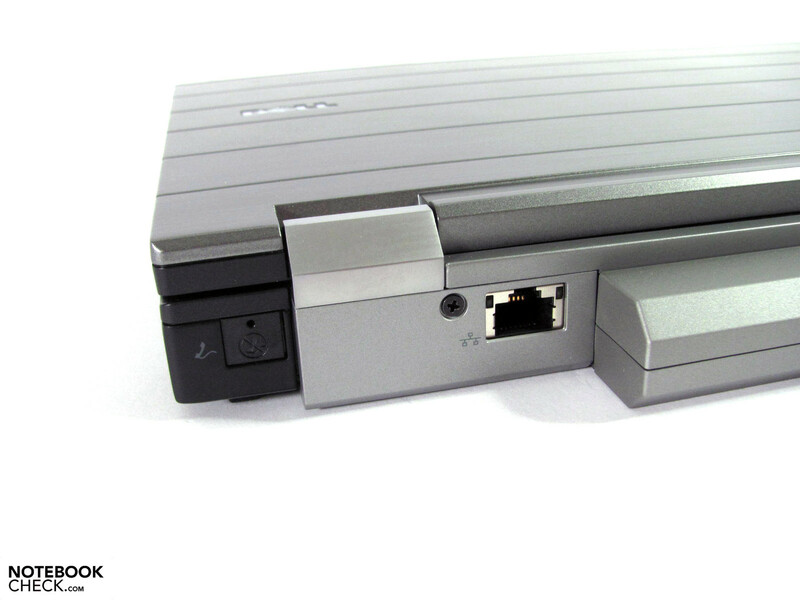 The modular design allows fast exchange of drives. eSATA bids good performance of external hard disks with 115 MB/s. Unavailable interfaces can be supplemented via ExpressCard/34. 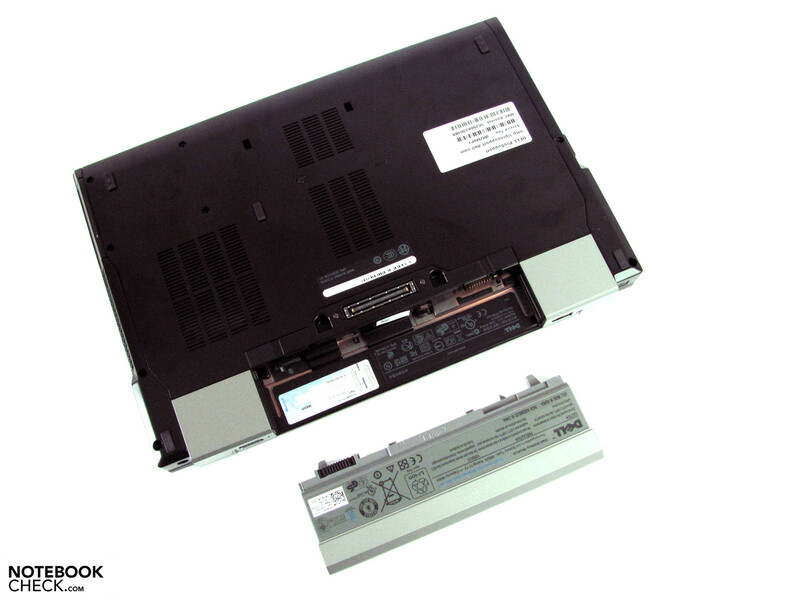 The material appearance in the work area doesn't reach HP's Elitebook 8540w's level. 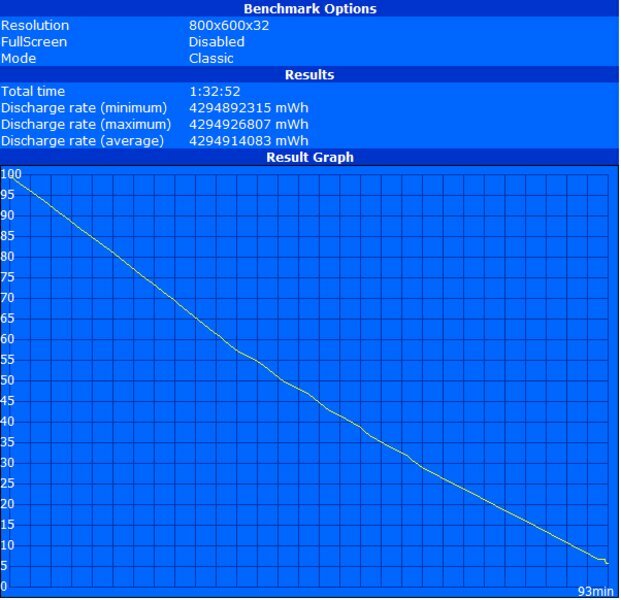 The big 90 Wh battery that protrudes far out of the back provides apt runtimes. Older VGA cables could get into trouble with the submerged VGA port. …there's not much left to be desired. …or USB 3.0. Otherwise, the connectivity is exemplary. 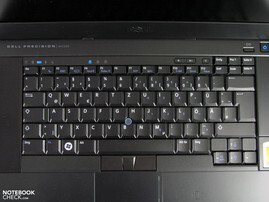 The loudspeakers are located at the keyboard's sides and deliver an adequate sound. On the right, you'll also find a large-scale fingerprint scanner. 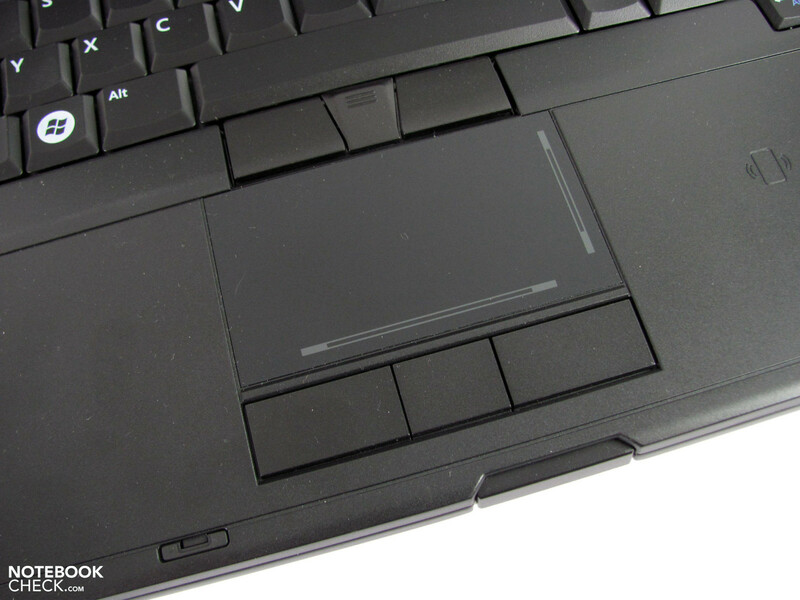 The brightness sensor, microphone, webcam and ramshorn hook are found in the display bezel. The latter is released by a button. The adapter appropriate for the performance is big, heavy and strong. 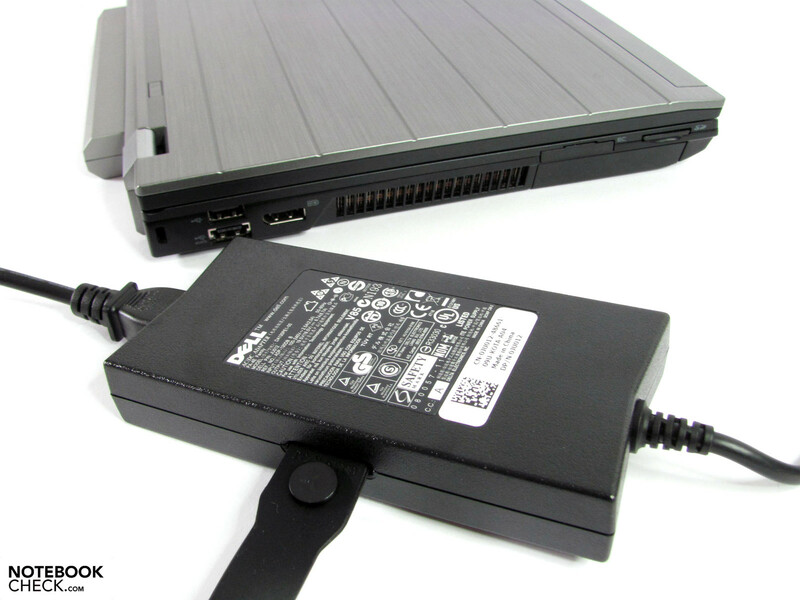 HP Elitebook 8540w, Lenovo ThinkPad W510, Fujitsu Celsius H700.